A presentation is never complete without a banner. It is the headlining visual that will call everyone’s attention, so you want your banner to be appealing to everyone who views it. Not only should it be attractive but you also want to express the proposition of your ceremony clearly so every single person present will know exactly what is going on. A banner highlights the events in the celebration and attracts newcomers and passersby with curiosity. 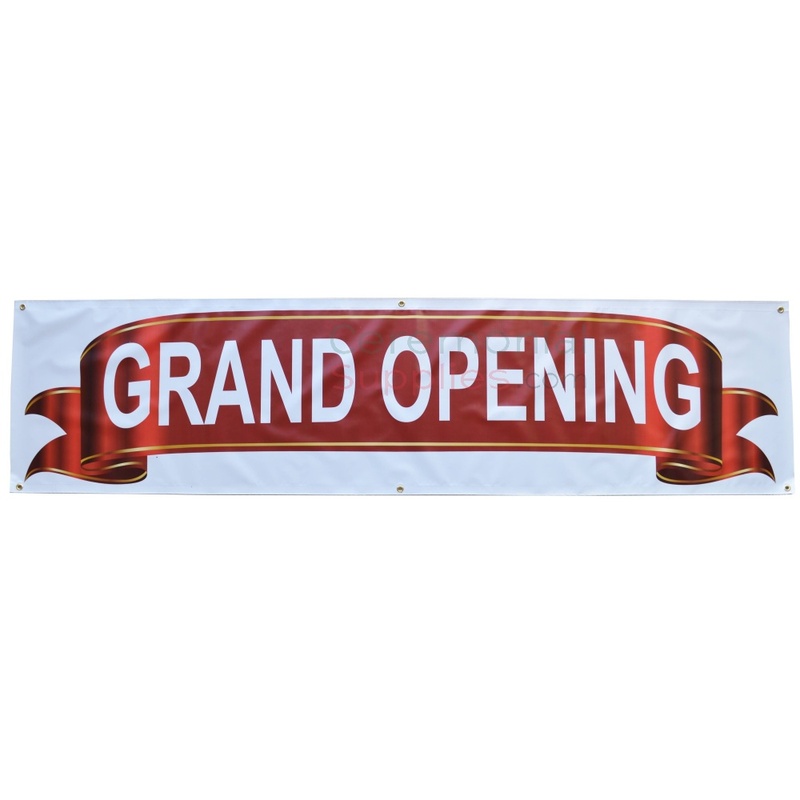 This deluxe grand opening banner features the words “Grand Opening” printed in white lettering on a red ribbon with a gold lining framing the design. Its matte finish, as opposed to a glossy finish, prevents any glare from obstructing the view of the words. Its extensive length strikes a grand appearance, perfect for your grand opening ceremony.